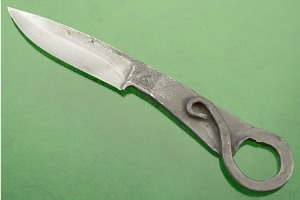 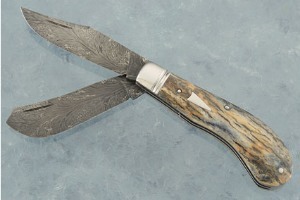 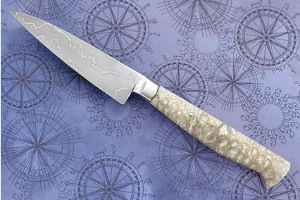 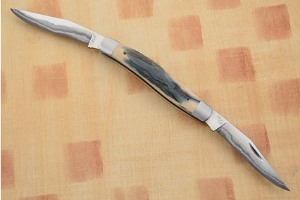 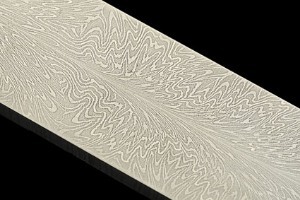 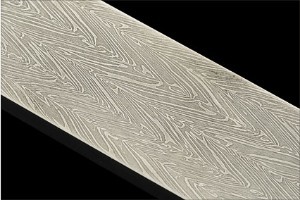 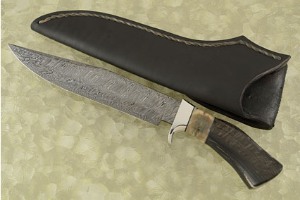 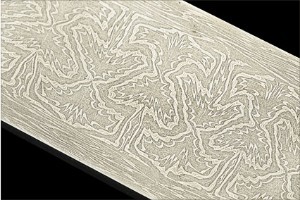 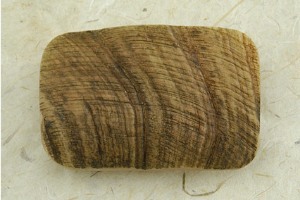 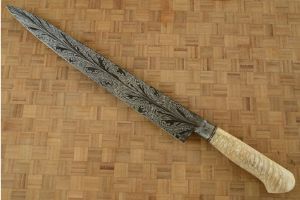 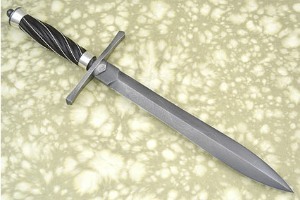 Composite Damascus Bar (3.7" x .7" x .184") by Bill Burke, M.S. 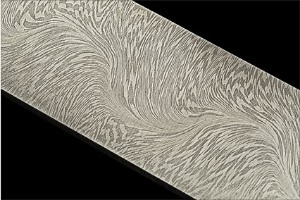 Mosaic Damascus Bar (3.67" x 1.05" x .112") by Bill Burke, M.S. 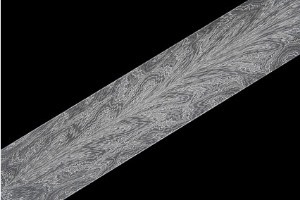 Mosaic Damascus Bar (3.67" x 1.05" x .160") by Bill Burke, M.S. 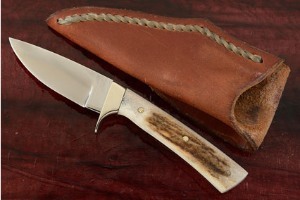 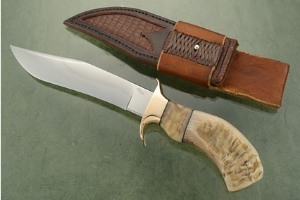 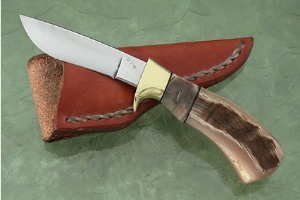 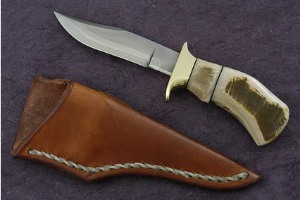 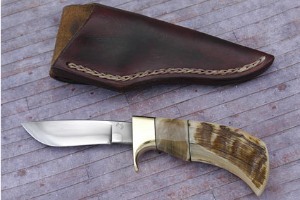 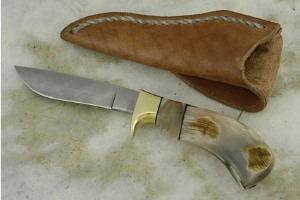 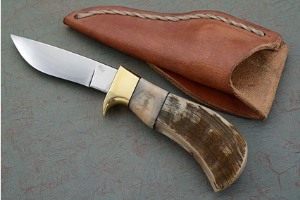 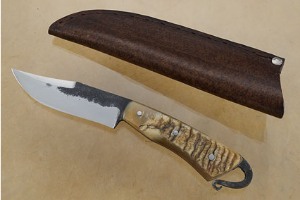 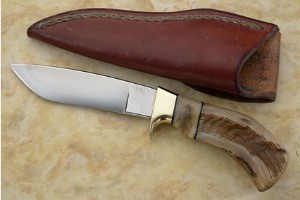 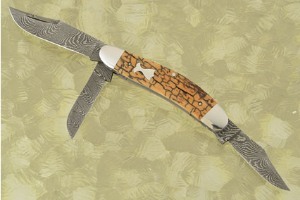 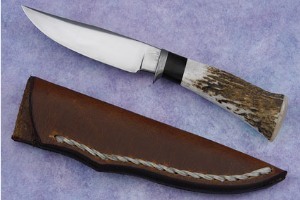 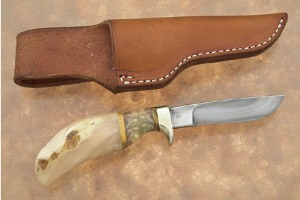 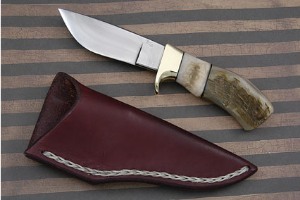 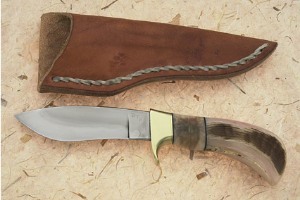 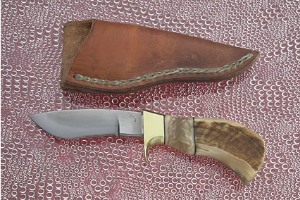 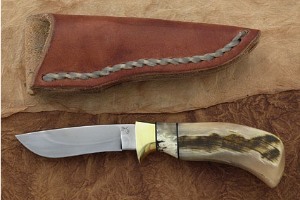 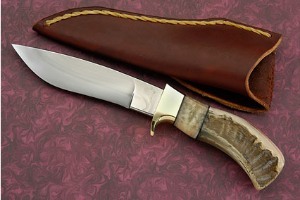 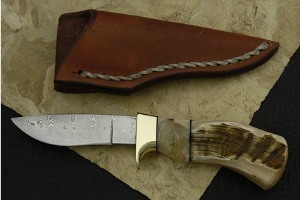 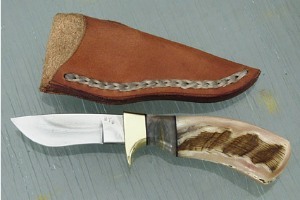 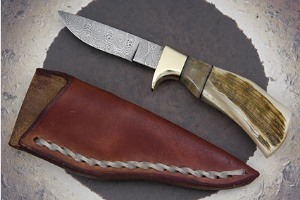 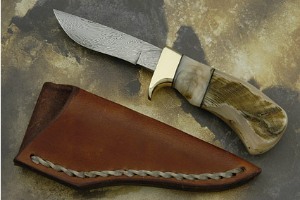 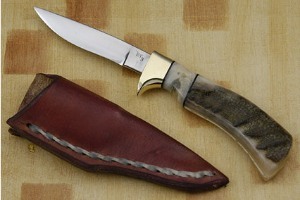 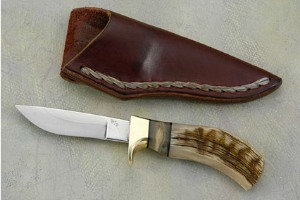 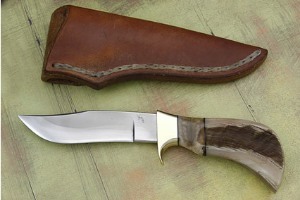 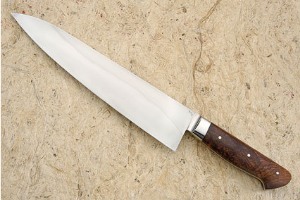 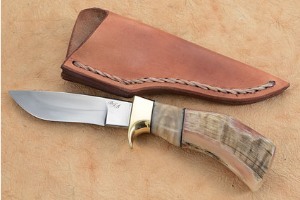 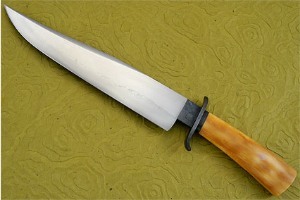 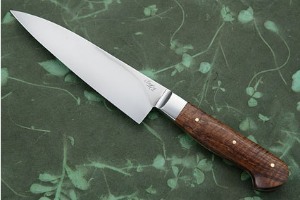 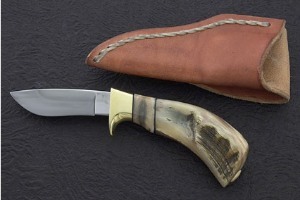 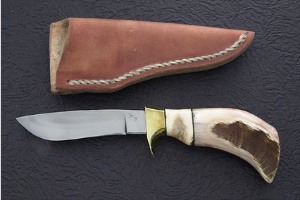 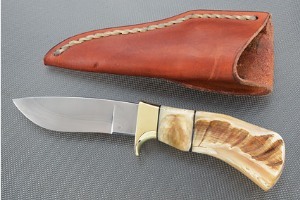 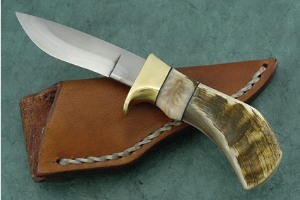 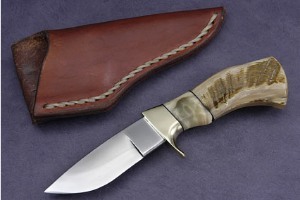 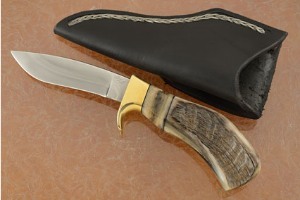 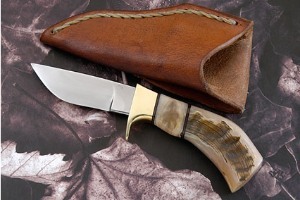 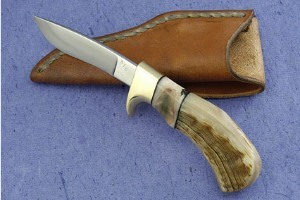 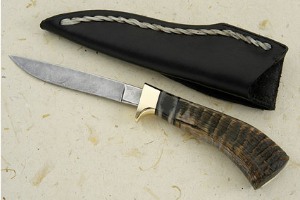 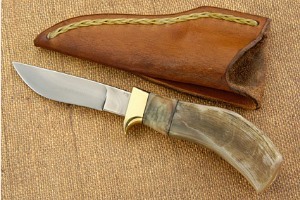 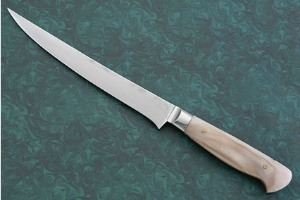 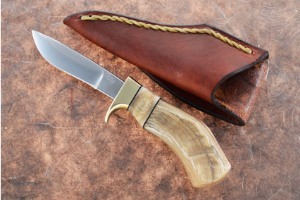 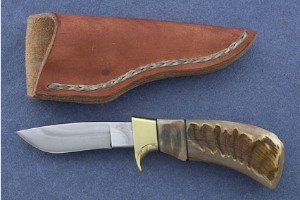 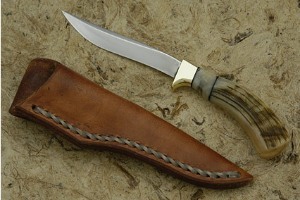 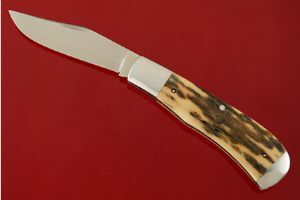 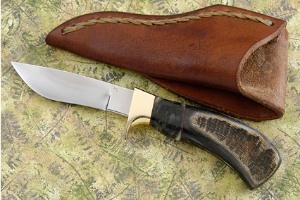 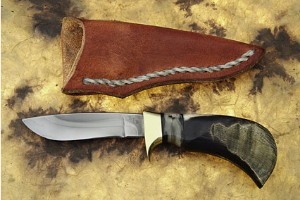 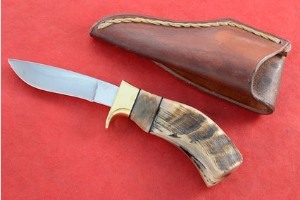 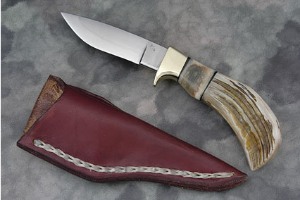 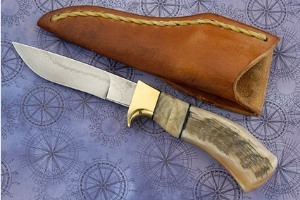 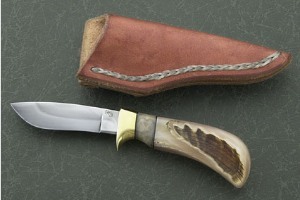 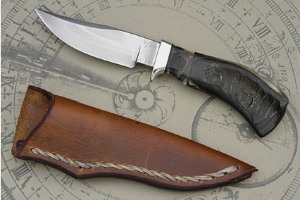 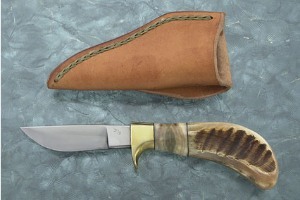 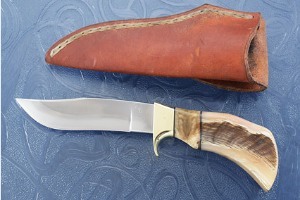 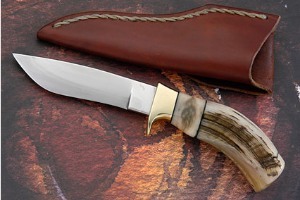 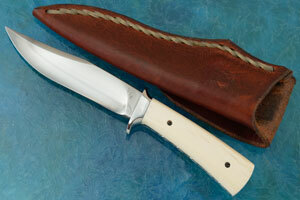 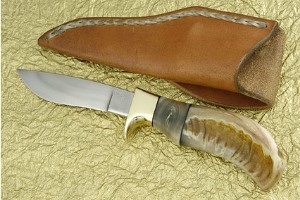 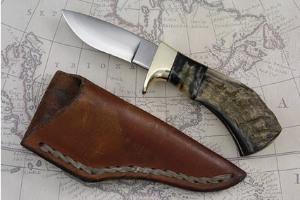 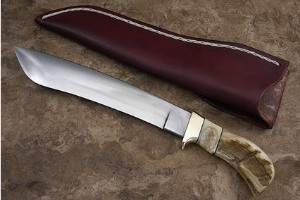 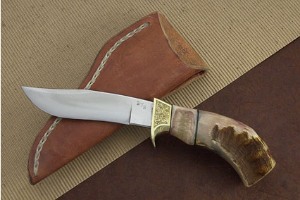 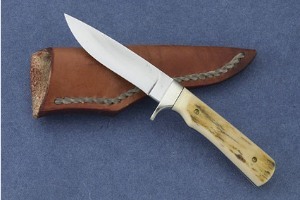 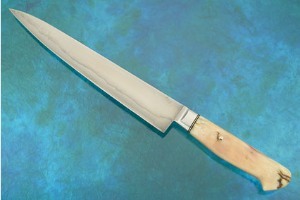 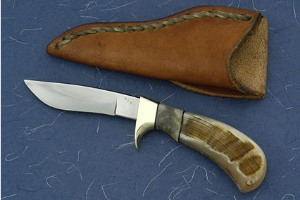 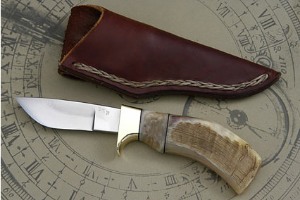 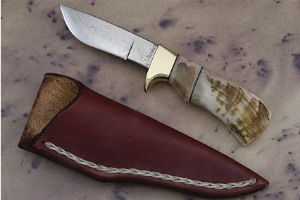 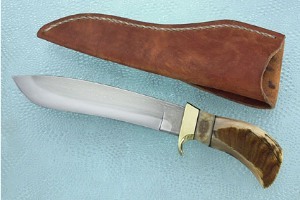 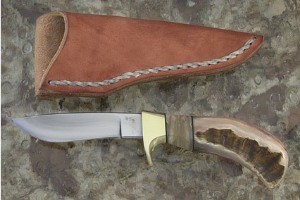 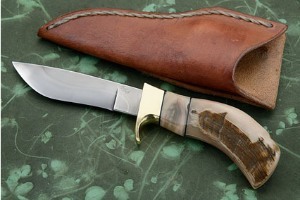 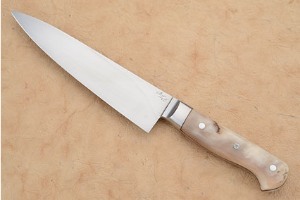 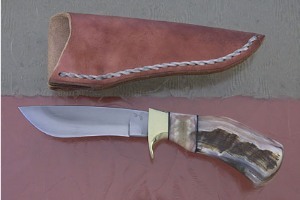 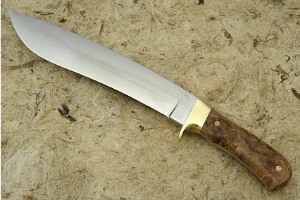 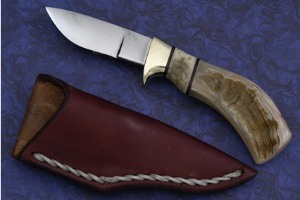 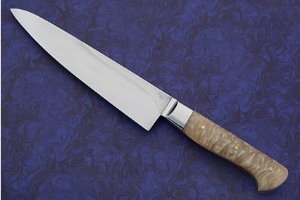 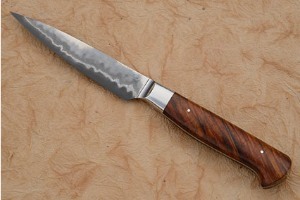 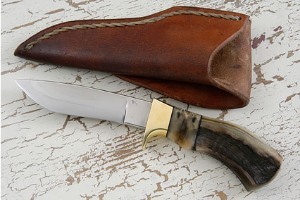 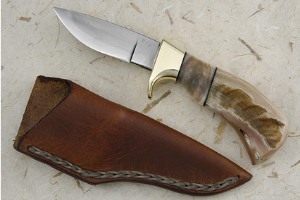 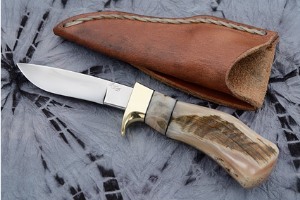 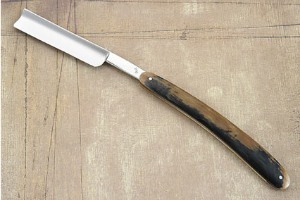 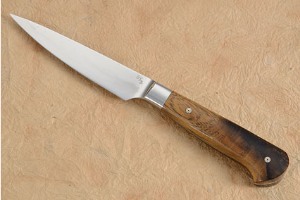 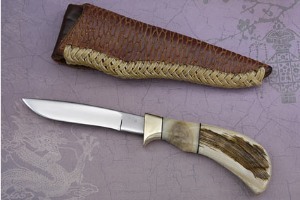 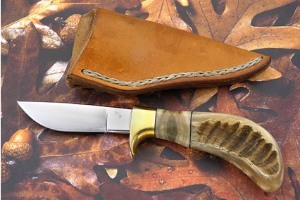 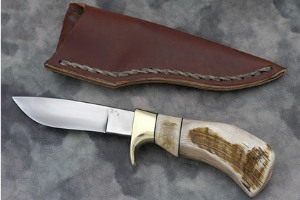 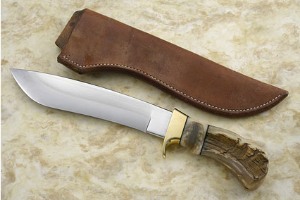 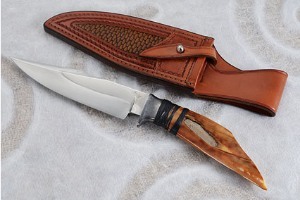 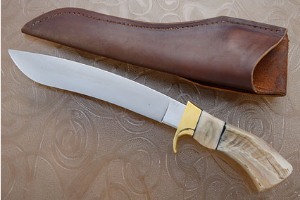 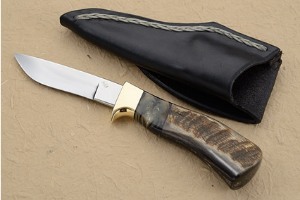 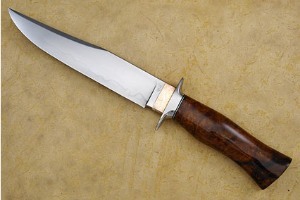 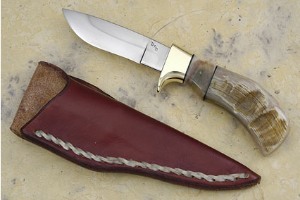 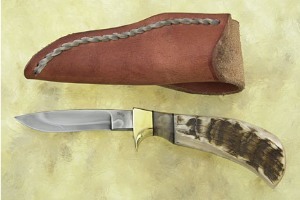 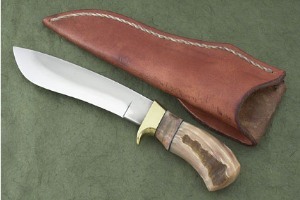 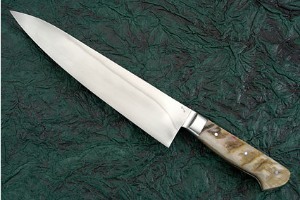 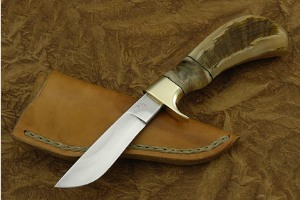 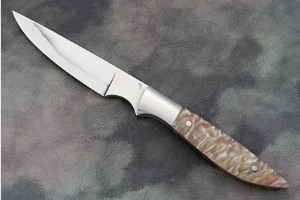 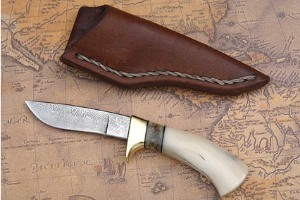 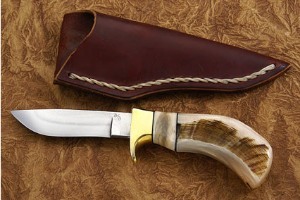 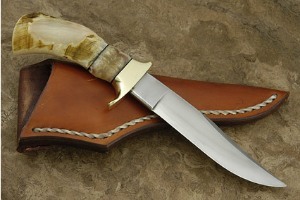 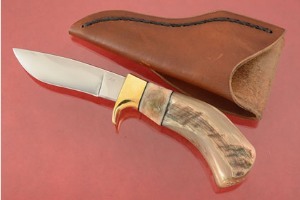 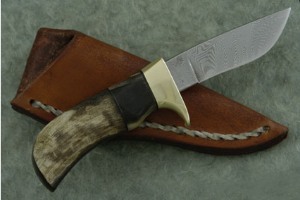 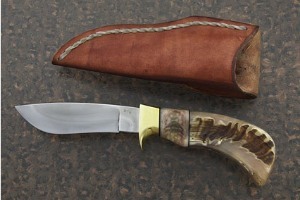 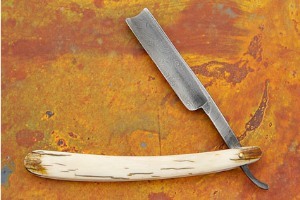 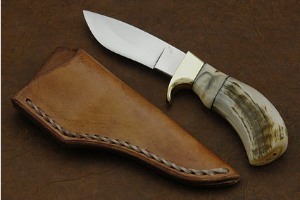 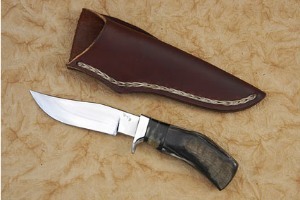 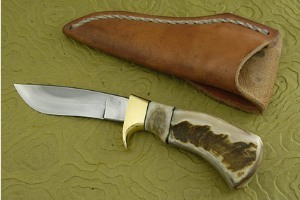 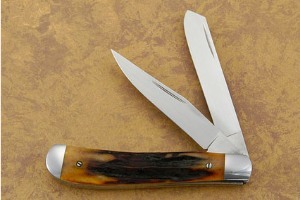 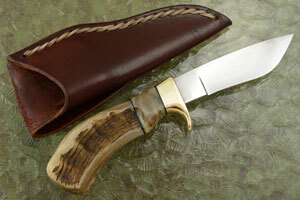 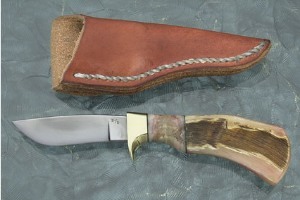 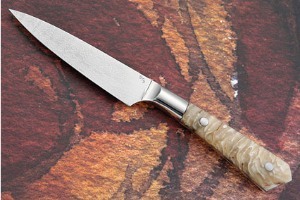 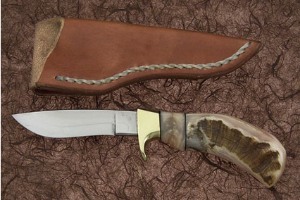 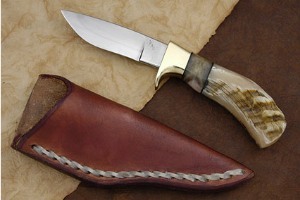 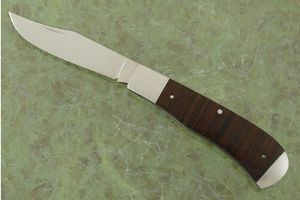 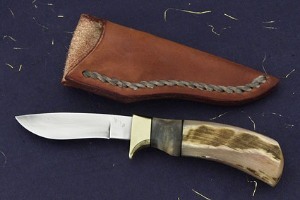 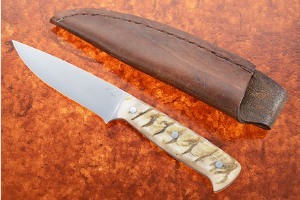 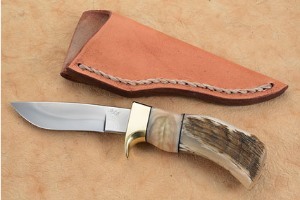 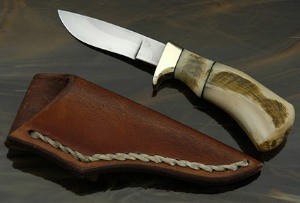 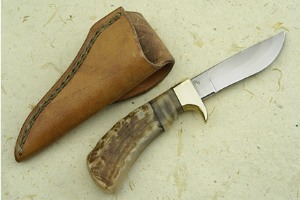 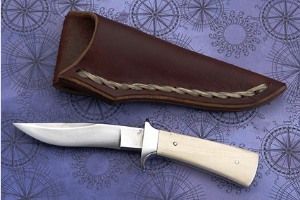 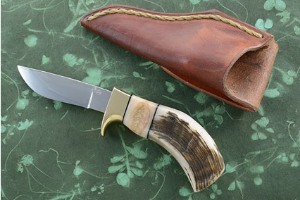 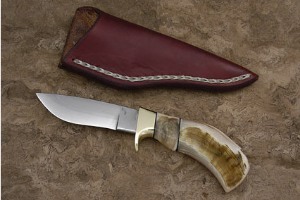 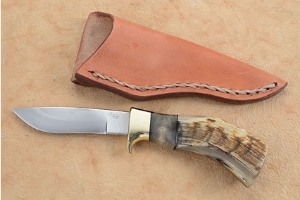 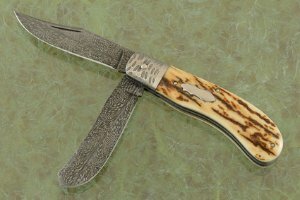 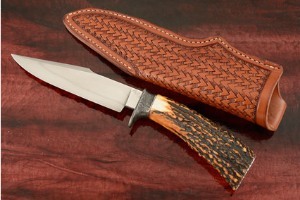 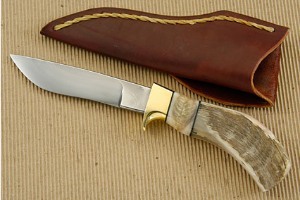 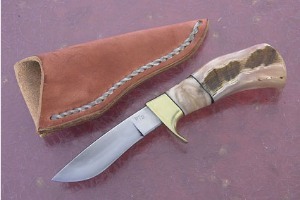 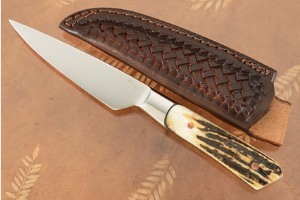 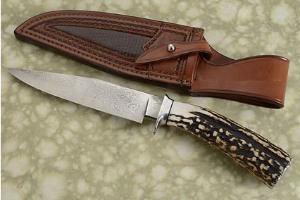 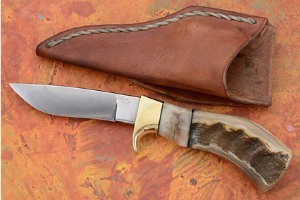 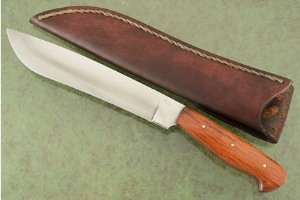 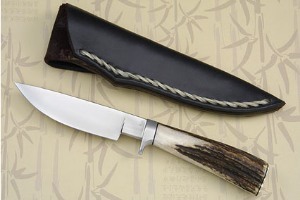 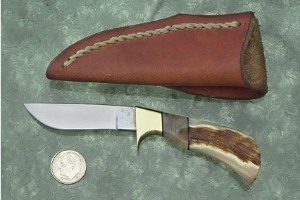 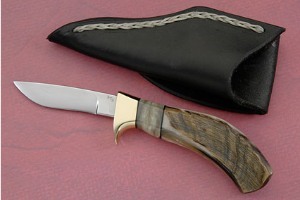 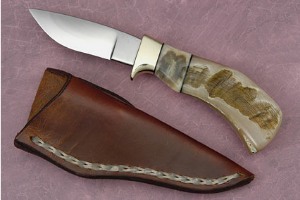 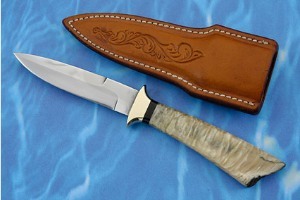 Mastersmith Bill Burke’s first knives were made along side his father at the tender age of four or five. 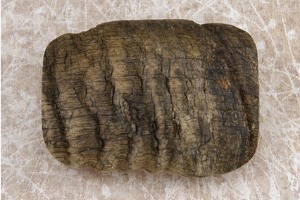 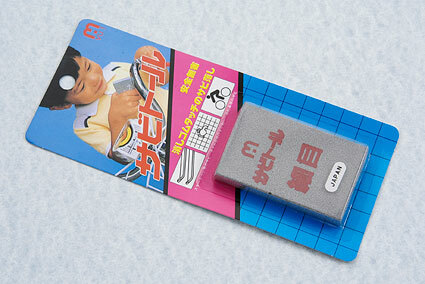 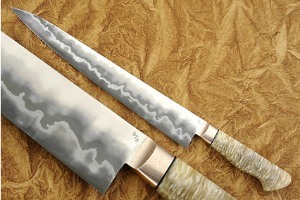 He continued to make knives through his youth, though it wasn't until 1998 that he started forging. 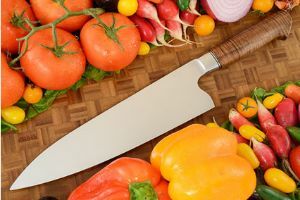 During the two decades that passed between high school and forging, Bill searched for a knife that could stand up to the everyday tasks that were a part of his life. 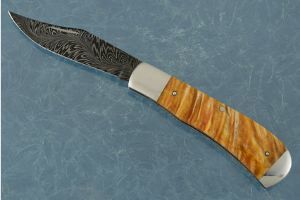 He threw away, wore out and broke so many knives over the years that, had he invested the money that he spent on knives, he could have retired by this time! 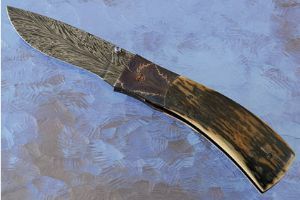 In late August of 1998, while looking for a specific brand of gun powder, Bill happened across a copy of Knife Talk, by Mastersmith Ed Fowler. 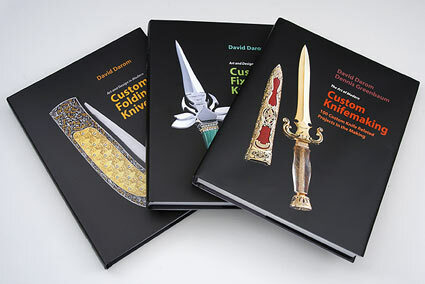 He stood in the store and leafed through this book for nearly an hour, fascinated by the idea that a knife was capable of doing the things that Mr. Fowler was claiming his knives could do. 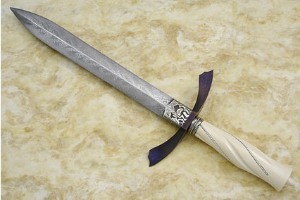 It seemed to him to border on the magical. 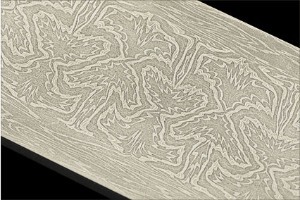 He bought this book, eager to assimilate the knowledge that was between its covers. 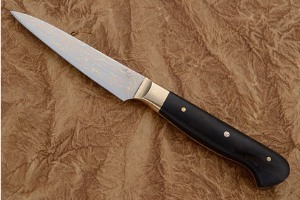 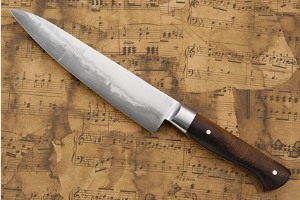 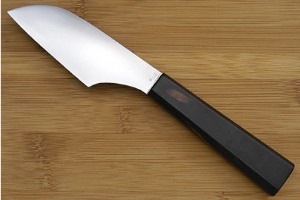 At first, he read only the stories that had to do with the actual making of a knife. 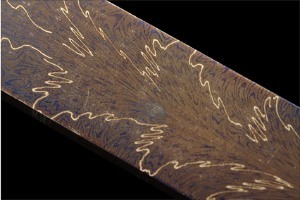 Then, realizing that there was an underlying message in the other stories, he read the whole book from cover to cover. 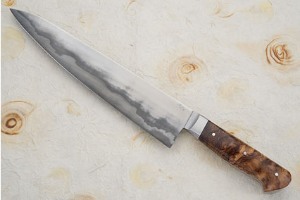 Armed with this fresh knowledge and the fact that "I have been millwright and a welder and I can do anything with metal that anyone else can do" he went to the garage to forge a knife. 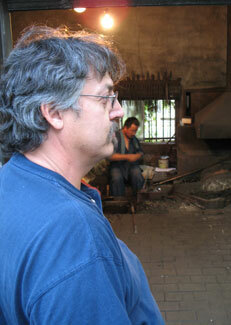 Forging remains one of Bill’s favorite aspects of knifemaking. 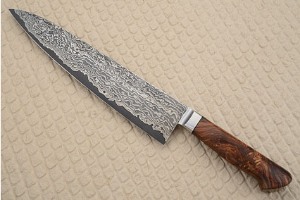 The other is the community of knifemakers that Bill is an integral part of - he feels fortunate to have worked alongside knifemakers who do work he admires, and to also call them good friends. 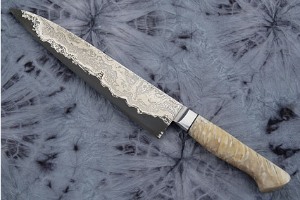 He names Tom Ferry’s engraving, Shane Taylor’s design work and damascus, Don Hanson’s bowies, and Wade Colter’s cleanliness of fit and finish as work he admires. 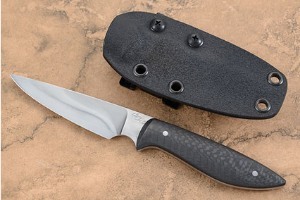 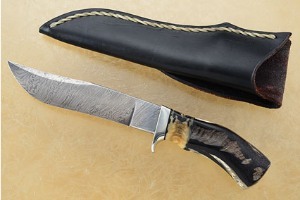 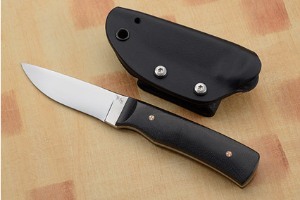 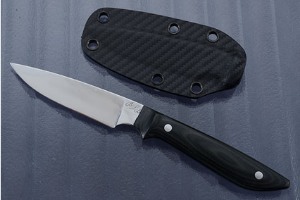 When his first knives failed to hold a good edge, he admitted it was time to swallow his pride and call for some words of advice from the author of "the knife forging Bible," Ed Fowler. 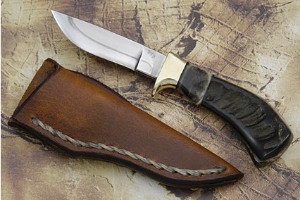 Since that first call for help in 1998, Bill has been to Ed's home and shop in Riverton, Wyoming many times. 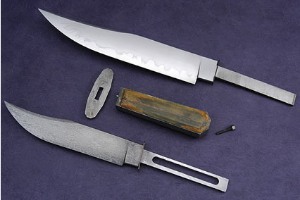 These trips and their discussions resulted in marathon sessions of making, testing, and discussing knives. 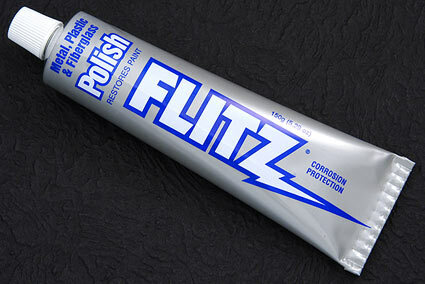 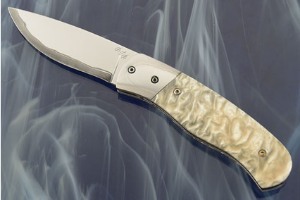 These trips developed the heat treating techniques that both Ed Fowler and Bill use today. 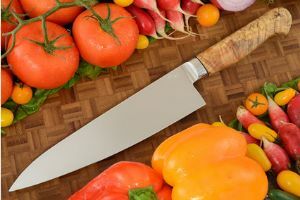 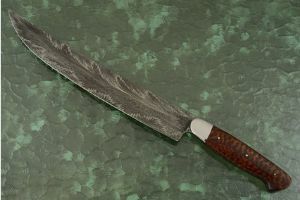 The knives that he now makes are a result of those trips and many hours of forging and many, many failures - but in each failure, there has been a lesson learned. 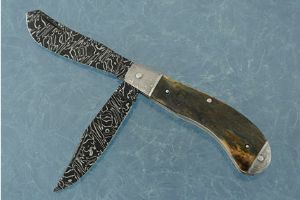 The knives that he now makes are the result of the hundreds of pounds of broken and bent test blades in his scrap pile. 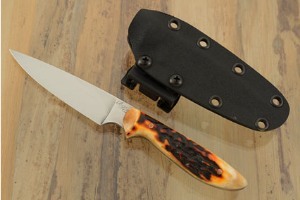 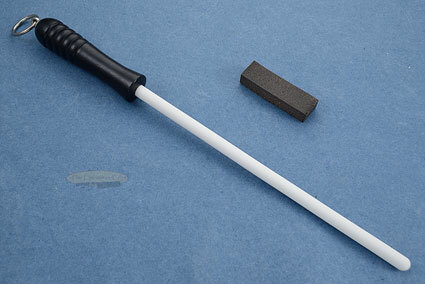 These days, Bill forges high performance working knives. 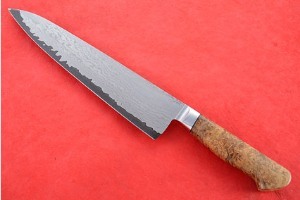 His focus is on performance and cutting ability -- continuing to experiment and develop the ultimate cutting edge. 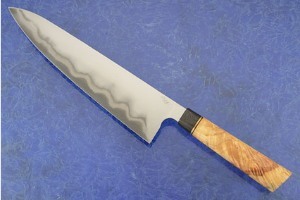 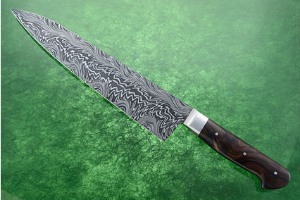 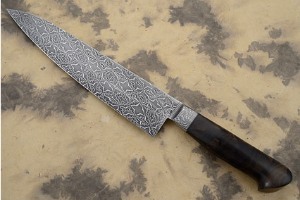 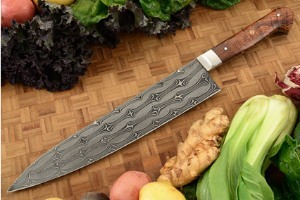 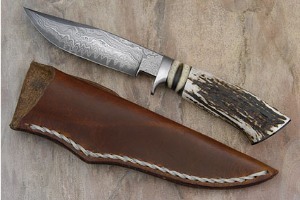 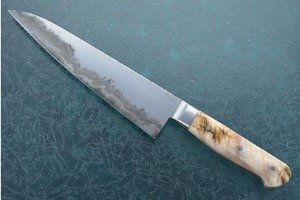 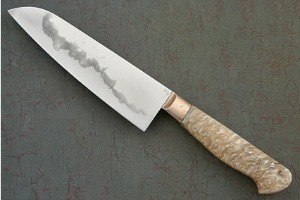 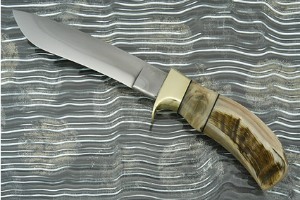 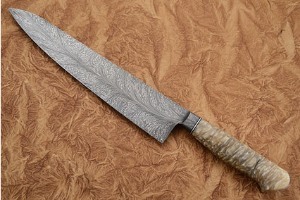 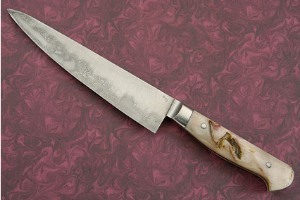 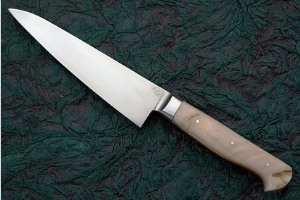 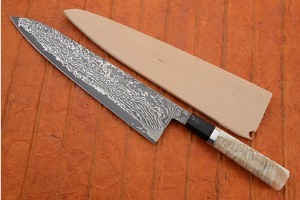 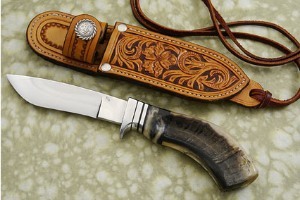 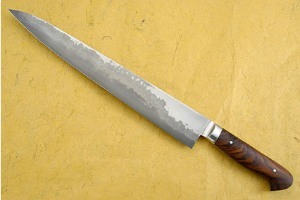 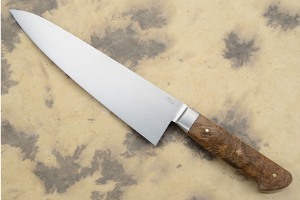 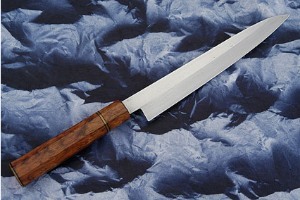 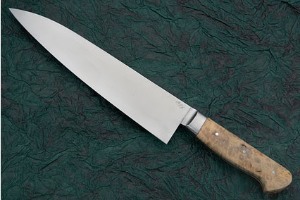 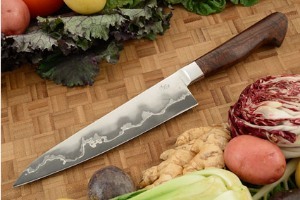 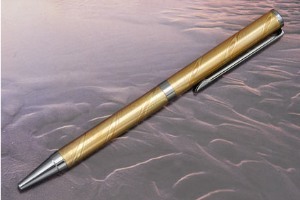 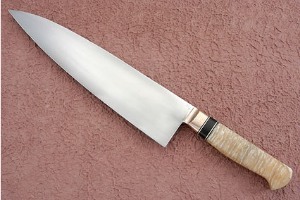 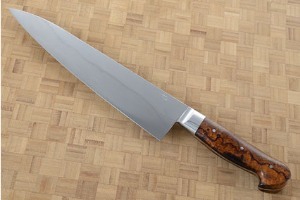 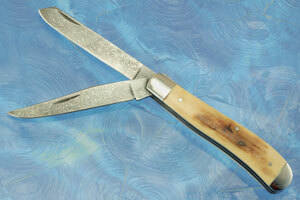 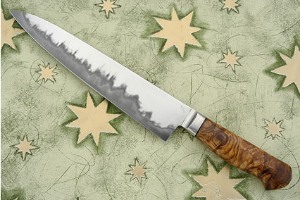 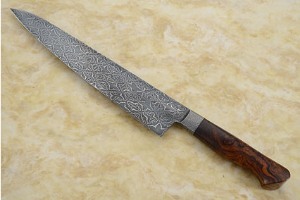 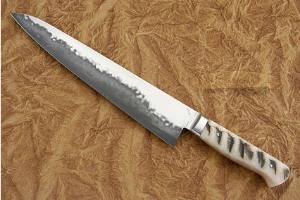 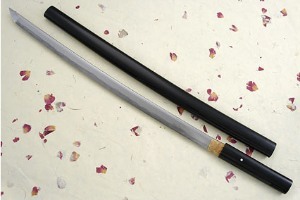 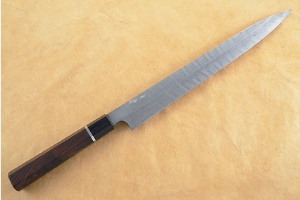 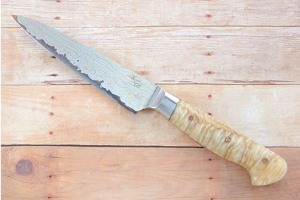 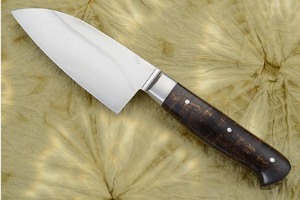 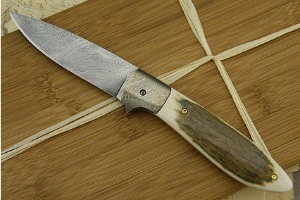 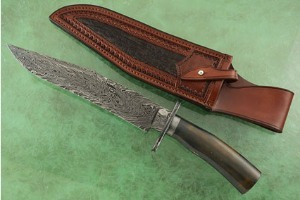 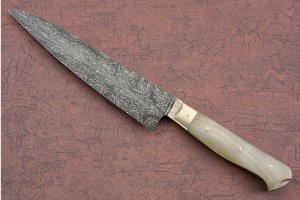 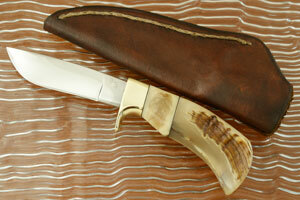 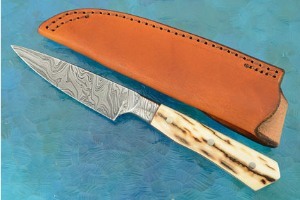 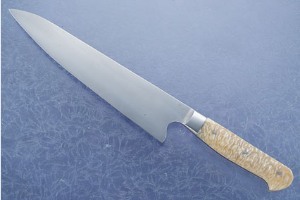 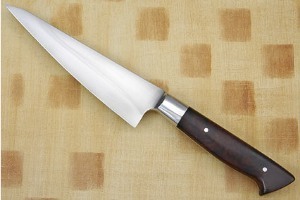 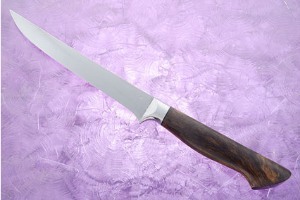 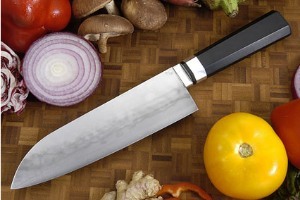 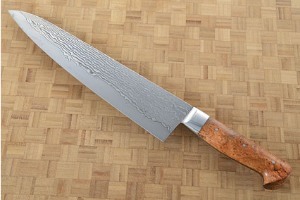 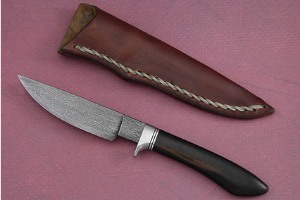 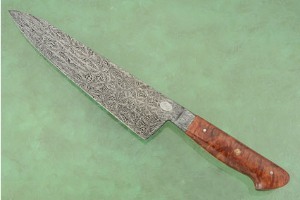 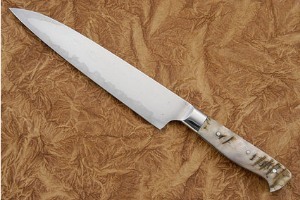 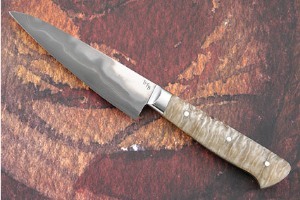 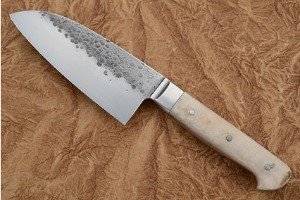 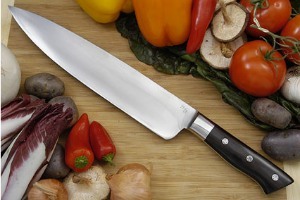 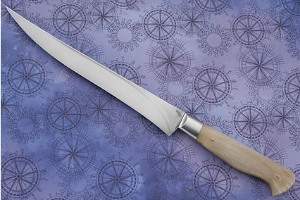 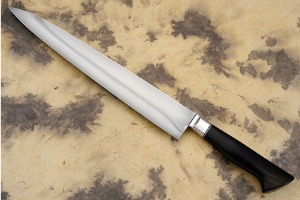 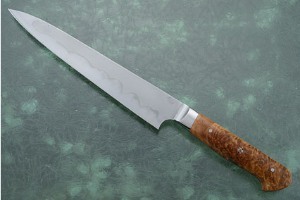 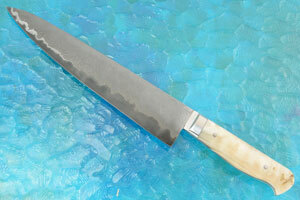 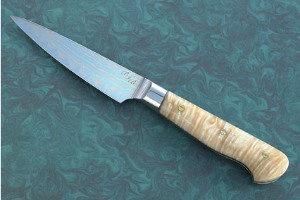 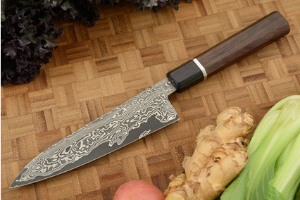 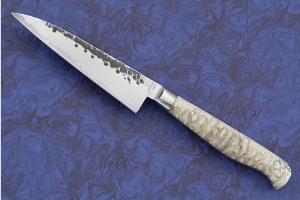 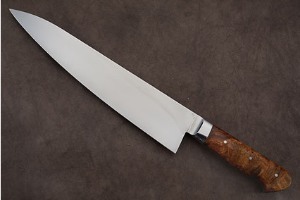 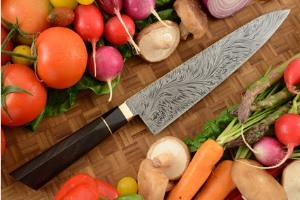 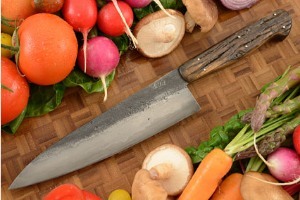 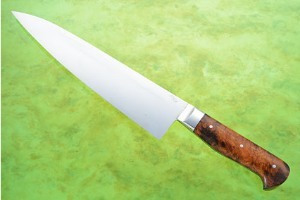 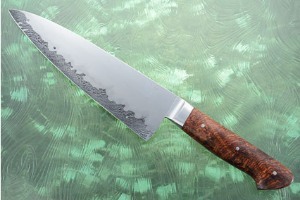 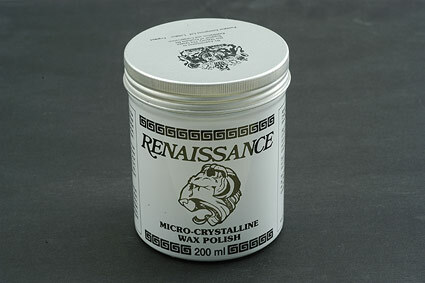 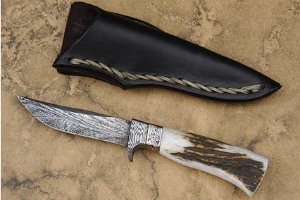 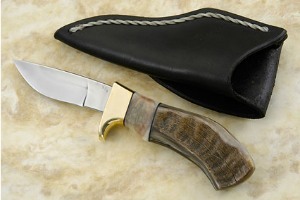 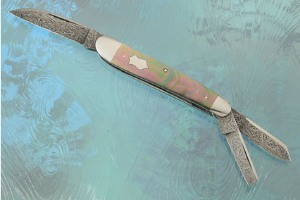 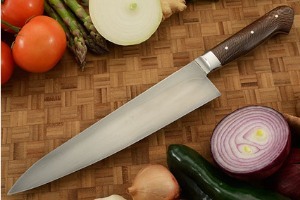 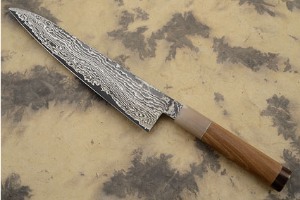 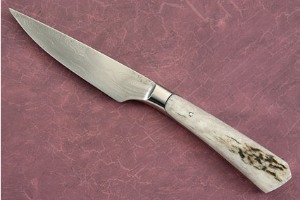 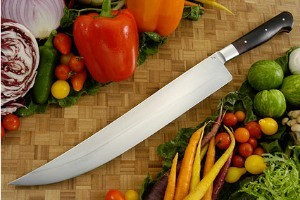 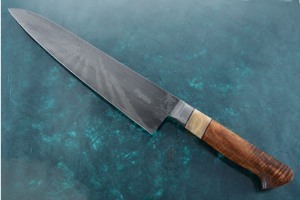 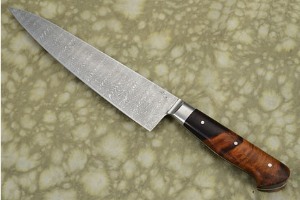 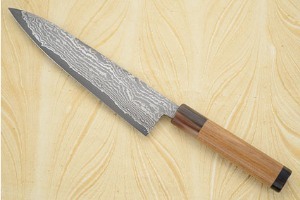 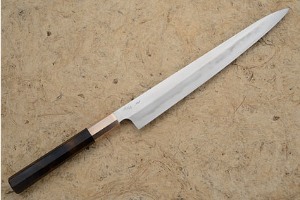 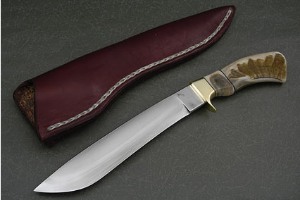 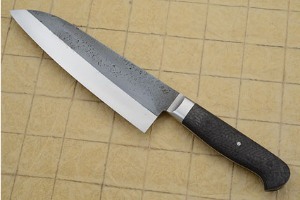 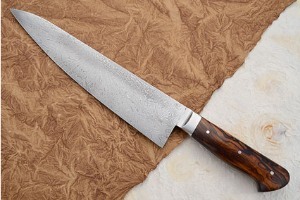 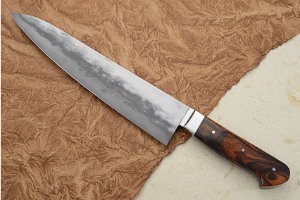 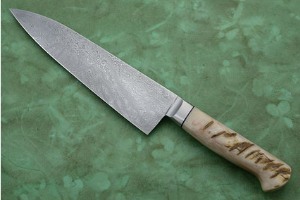 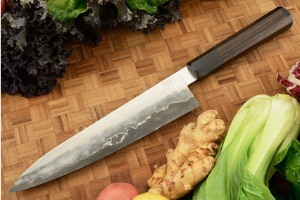 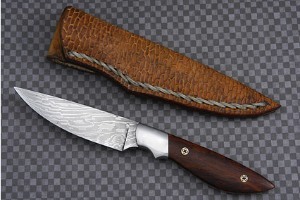 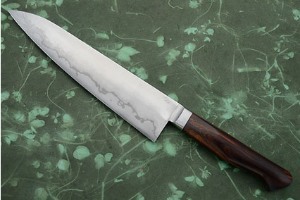 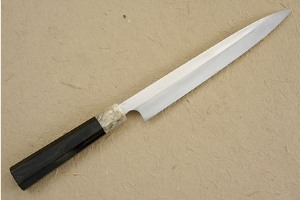 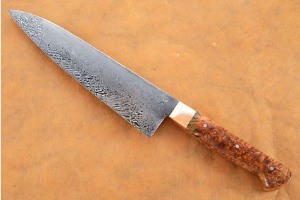 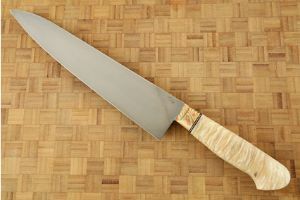 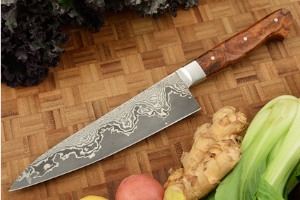 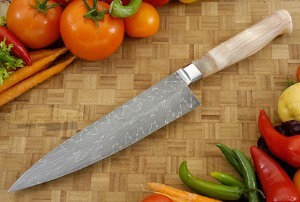 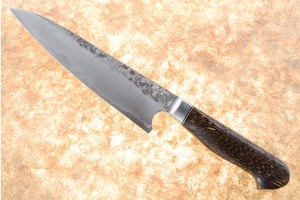 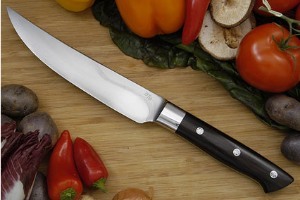 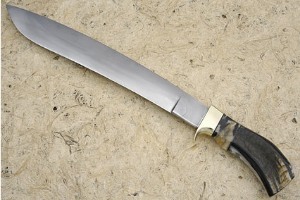 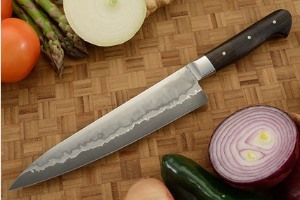 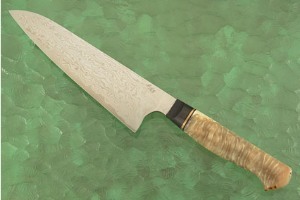 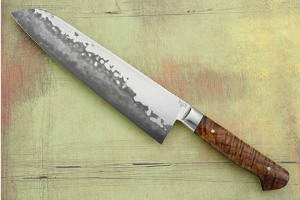 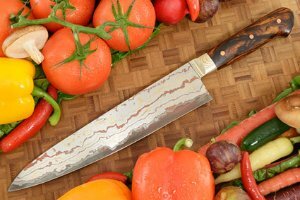 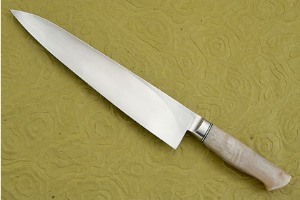 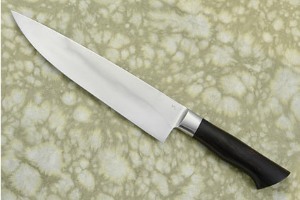 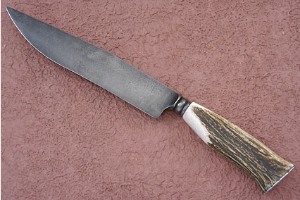 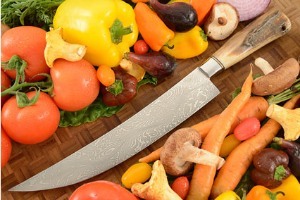 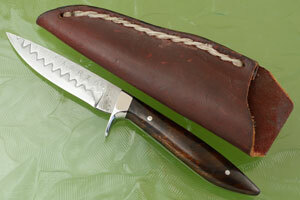 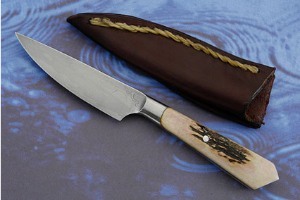 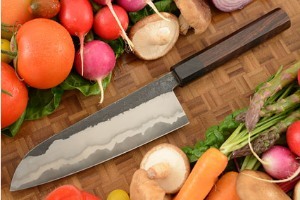 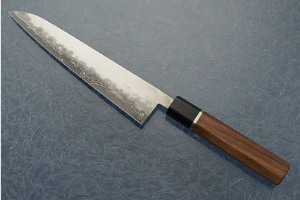 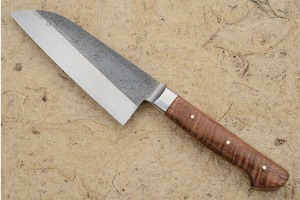 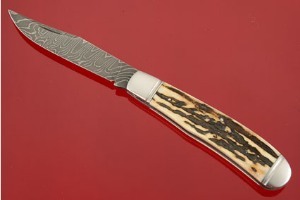 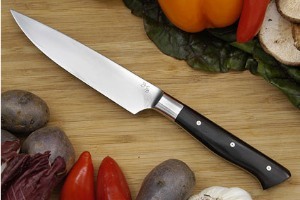 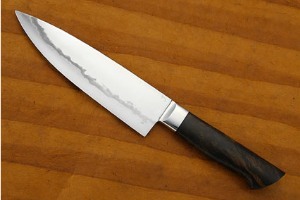 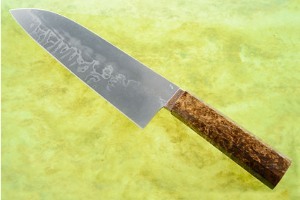 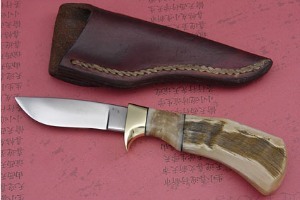 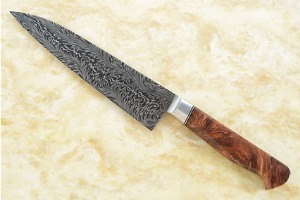 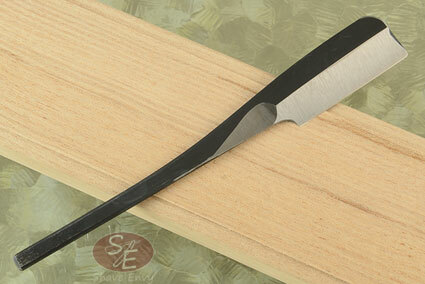 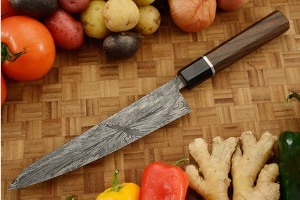 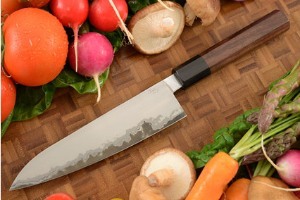 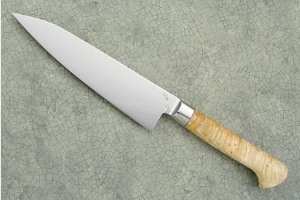 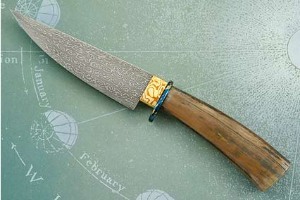 He enjoys working with steels such as 52100 carbon steel, 5160 carbon steel and his own Damascus. 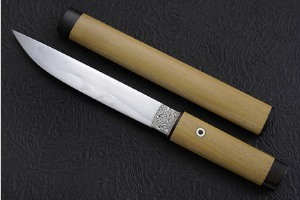 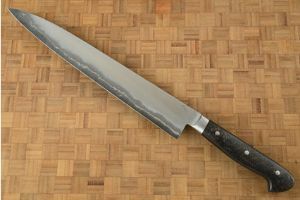 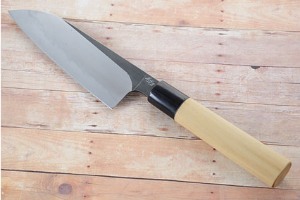 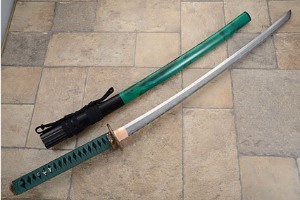 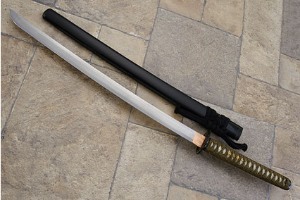 In 2008, after a trip to Japan, he began experimenting with tamahagane, oroshigane, and the stunning hamon that can be achieved by treating W2 steel. 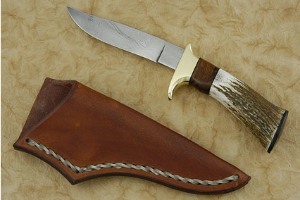 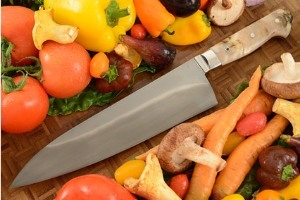 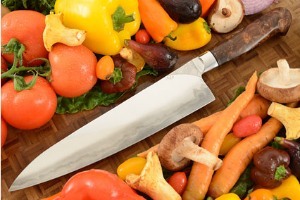 Bill is well known for both his hunting knives and his kitchen knives. 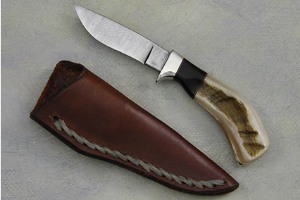 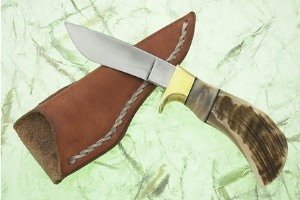 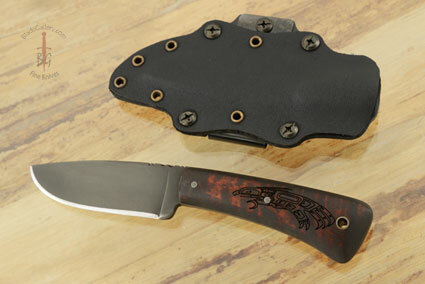 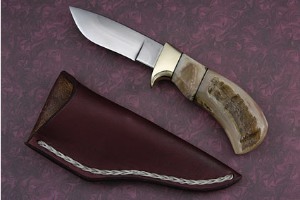 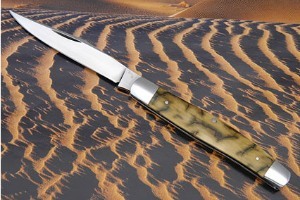 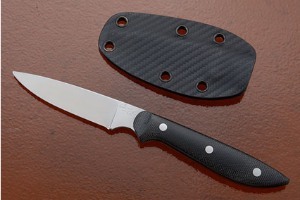 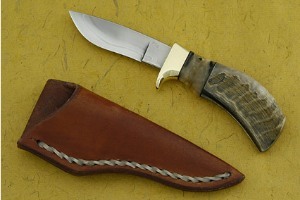 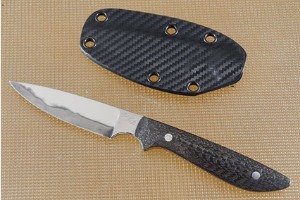 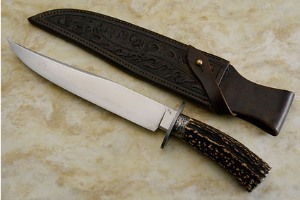 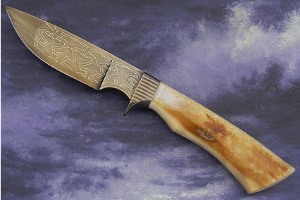 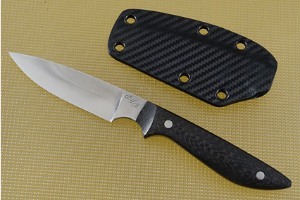 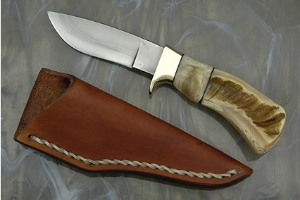 His work has been regularly featured in both Knives Illustrated and Blade Magazine. 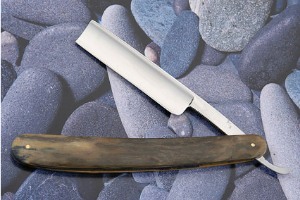 He was also featured on Evening Magazine in November of 2010. 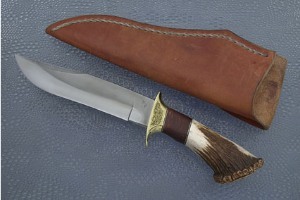 November of 1998, Bill Burke called me for the first time, our conversation lasted about 3 hours. I was highly impressed by the nature of the well thought out questions he asked. 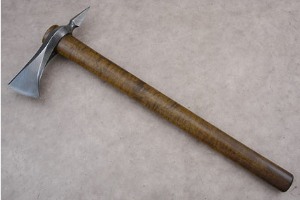 Obviously he had done his homework before calling. 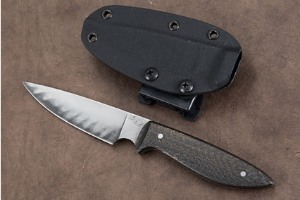 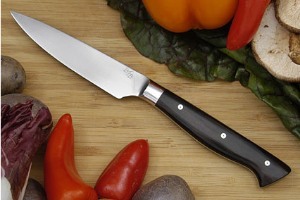 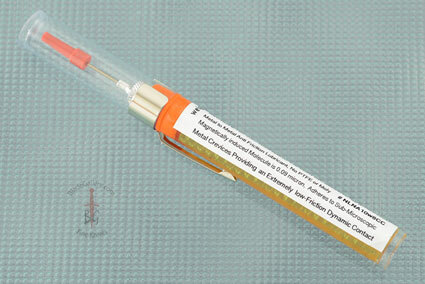 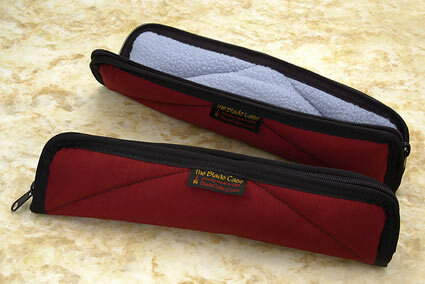 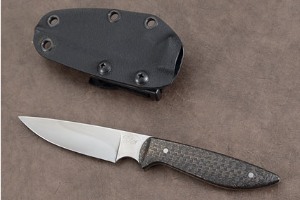 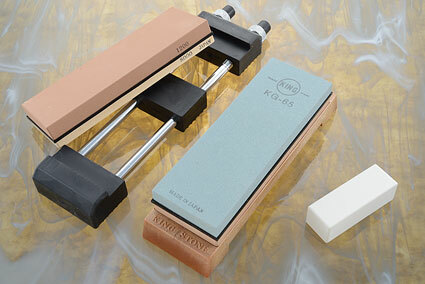 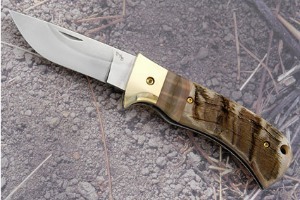 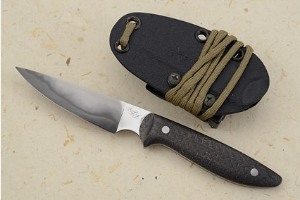 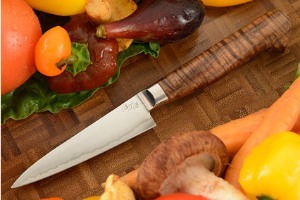 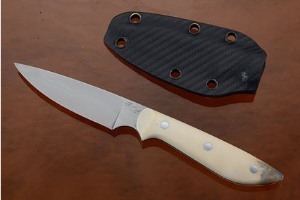 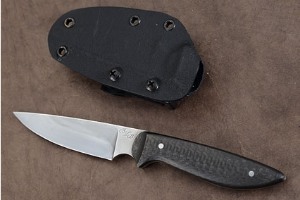 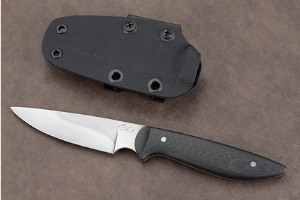 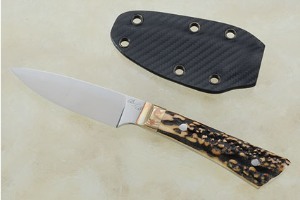 Bill is absolutely dedicated to expanding the frontiers of high performance working knives. Since that first conversation, we have talked knives for hundreds of hours, he has visited my shop many times, each time bringing with him knives that he had made for the purpose of experimentation. 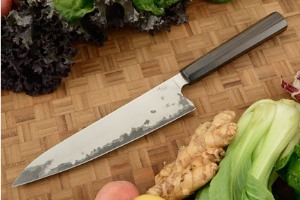 Bill keeps excellent notes as he experiments and takes no shortcuts that will sacrifice performance. 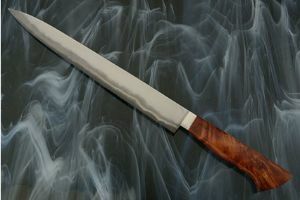 All I have to do is mention a variable in the knife making process that I have questions about and he will work around the clock to find the answers. 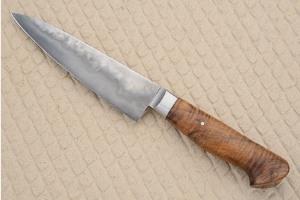 He has contributed significantly to the development of better knives both from my forge as well as his. 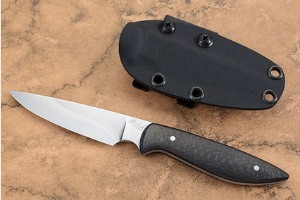 I am highly honored that Bill has chosen to work with me, and firmly believe that he will carry the development of the high performance knife to higher levels than we know today. 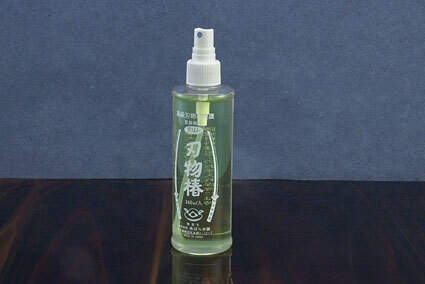 0.3125 0.21875 312.5 218.75 Products Display completed. 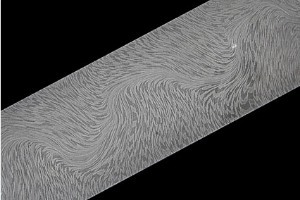 0.3125 0 312.5 0 Trailer Started.